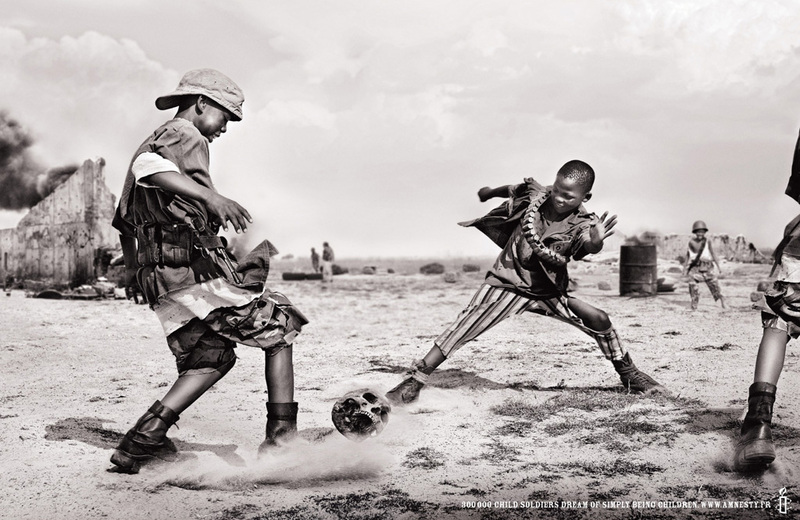 300,000 child soldiers dream of simply being children. 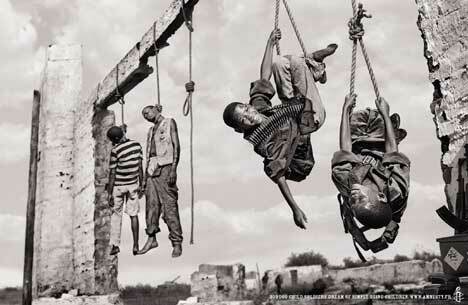 That’s the message in this chilling campaign from Amnesty International. Child soldiers are shown playing by a public hanging, using human bones in a game and playing soccer with a human skull. Around the world, children are singled out for recruitment by both armed forces and armed opposition groups, and exploited as combatants. Approximately 250,000 children under the age of 18 are thought to be fighting in conflicts around the world, and hundreds of thousands more are members of armed forces who could be sent into combat at any time. 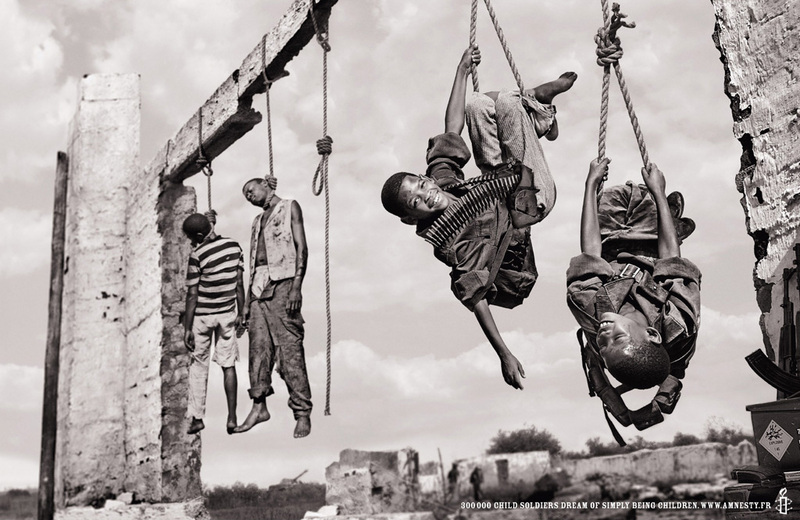 Although most child soldiers are between 15 and 18 years old, significant recruitment starts at the age of 10 and the use of even younger children has been recorded. 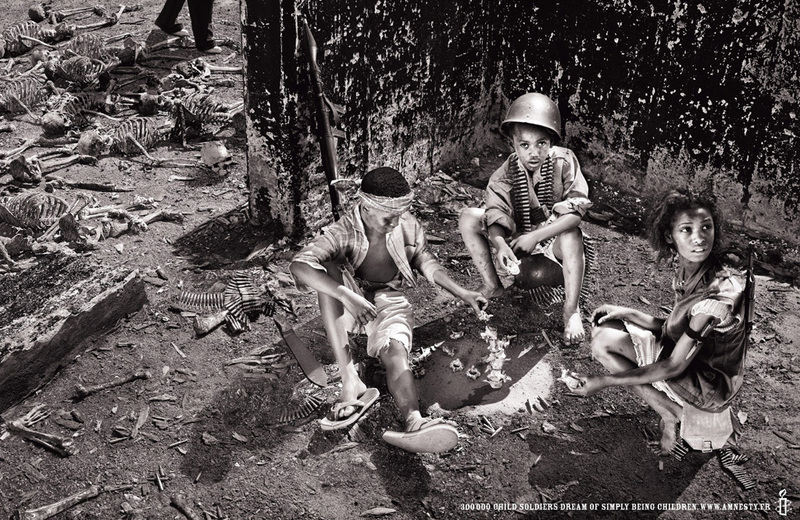 The Child Soldiers campaign was developed at TBWA France, Paris, by creative director Erik Vervroegen, copywriters Veronique Sels and Daniel Perez, art directors Ingrid Varetz and Javier Rodriguez, photographer Michael Lewis and art buyer Barbara Chevalier.